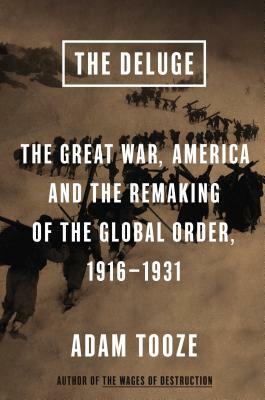 Adam Tooze is the author of Wages of Destruction, winner of the Wolfson Prize and Longman History Today Prize. He is the Kathyrn and Shelby Cullom Davis Professor of History at Columbia University. He formerly taught at Yale University, where he was Director of International Security Studies, and at the University of Cambridge. He has worked in executive development with several major corporations and contributed to the National Intelligence Council. He has written and reviewed for Foreign Affairs, the Financial Times, the Guardian, the Sunday Telegraph, the Wall Street Journal, Die Zeit, Sueddeutsche Zeitung, Tageszeitung and Spiegel Magazine, New Left Review and the London Review of Books.